The Oliver Adams store onthe corner of Woodhill has already closed as part of a restructing of the popular bakery firm. Last week Northampton firm Oliver Adams announced it was to close two of its bakeries in Rugby and one in Daventry. And today, managing director for the century old company Mark Jarvis has further confirmed two of the popular bakeries in Northampton are to close. 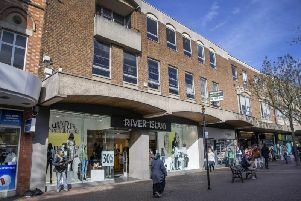 The corner outlet in Wood Hill, opposite County hall, is to shut along with the store at 209 Wellingborough Road. Lawrence’s cafe in St Giles will remain open, but Mr Jarvis said job losses are inevitable in the company.